Make sure you are able to find the links. Each PDF has links for the downloads further down the page. Look for the Download section in the packs and other printables. If you receive the following error: “File does not begin with ‘ %pdf- ‘” you need to update your Adobe Reader to the most current version. Keep in mind the standalone reader and the browser plugin are separate pieces of software and may need to be updated individually. If you click on the download link and nothing happens, and you have already updated your Adobe Reader, then right click on the links and save as. This will save the PDF to your computer. If you are sent to the homepage and have updated your Adobe, it means your browser did not send referrer information, or your security software blocked it. Referrer data is required to prevent the most common kind of content theft. If you are presented with a 301 error page then your browser is set to notify you of redirects rather than following them automatically. However, the only 301 redirect is the one caused by not sending referrer headers, as above. If none of that works try another browser. I have found most people using IE have not been able to get the PDFs, probably due to its strict default settings. I hope that this will help everyone that has been emailing me. Please understand that I can’t email out PDF files. If I did that I would be emailing them all day long and get nothing else done. Printing is recommending from a computer. Ipads and tablets don’t always display the PDFs the same as a computer. I am aware that some phones and tablets are not allowing people to print the printables. I do see a way to change this currently with how the PDFs are secured. Please use a computer to print them out. This entry was posted in help and tagged help, printables. Bookmark the permalink. I managed to download your dishes packs1, 2 and 3 fine but the bank one – I get an error message. Try the right click and save as option. If you Adobe is not the most current it will send you to the homepage. So make sure it is up to date! Have tried the right click save as option and still has me saving your index. I just updated my adobe also and it still won’t work 🙁 Really bummed cause I really liked your stuff. I’m having the same thing happen. Please try the last option of a different browser. I love your blog and your printables!! Unlike the people above, I’m not having trouble downloading the docs, I’m having trouble saving it. It gives me a message asking me for a password… Can you tell me how to save it please?? You have great resources and I’d hate not to have them. Thanks for your help!! There is no password required to save the files. You right click on the links and save link as or open up the files in the browser and use adobes options of saving there. You might also want to try clean out your cookies and cache. That may solve the problem. I am having a lot of problems down loading the St Patrick’s Day printable’s , I was able to print the first pack with no problem but 2 & 3 won’t print. I have the Adobe and it is updated, I also use these for my preschool class and really love them. It the best site I have seen in along time. Thank-you for your dedication to young children. Please make sure you try all of the options. A lot of times people skip the last ones that are trying a different browser and right click and save as. I would love to be able to use your downloads but unfortunately I have tried everything you suggest and still can not open them. HELP PLEASE. I have removed adobe and reinstalled the latest. I have tried saving link as in different places, I have tried using firefox instead of IE and still no luck. I have never had problems downloading pdf’s from any other site. I send you an email with additional questions. I have a lot of security on my pdfs because of issues of stealing. I’m sorry but I can’t email pdfs out. Did you update the browser plug in for adobe as well as the one for your computer? Did you try the save as in Firefox? Did you try rebooting your computer at any time? Did you check the security on your computer to see if it blocks refers from a website? i loved your way of teaching . it was very helpful to me. its a fantastic website. i found one website which is best and free of cost to teach my child . thank you. and all the best for you. like this create new new worksheets which will be helpful to mamas of home to teach their childs. I love your printables! I am a 1st grade teacher and I am going to use some of them as supplemental materials for my class. When I was viewing and preparing to print a few pages from your “leaf packs”, I noticed a spelling error. I think it was in pack 1, Leaf Statement Writing, p.27; the first sentence has the word September spelled wrong. The “t” is missing. Thanks again for the hard work you put in to prepare all of these pages! This has been fixed. Thanks. In this same post there is information about updating your adobe reader. Please start by updating that then try again. Then read through all the different suggestions. hi I downloaded your Bob book printable pack a long time ago and the entire PDF downloaded just fine but when I go to print it off the last 6 pages do not print. They are the make your own sentence using ___________ pages. None of those pages on books 3 or 4 will print. I am only able to print 16 out of 24 pages. I can view them in the document but they won’t print. Has this happened before and what can i do to get it to print. I have checked my printer and it is updated and working fine it prints only part of the pdf. Okay I have 4 sets of BOB Books printables. I don’t know what set you are talking about and I’ve not ever had any problem printing the pages at all nor has anyone else reported any errors. I have printed all of them from the pfds as well, since I used them with my girls. I’m not sure how to help you. Sorry. I found your Winter Olympic pack yesterday and saved the links to come back and print today. Yesterday the pdf pulled right up to print on each section, but today the only section it let me print was Part 4? :/ You have such amazing resources and I’d really love to be able to use them. Any clue as to what the problem might be? It let me back to this page instead of to the pdf like it did for Part 4. I would suggest reading over the post above. It has suggestions to help you out. It sounds like you need to update your adobe or try a different browser. I am trying to print out the packs and I keep getting the words in jibberish? There are blocks and numbers, but not actual words printing. What do I need to change in order to print these packs? You need to make sure you are printing as an image. It is a setting on your printer. I love your printables! Thank you for sharing with us 🙂 I do have one question… What is the best way you have found to print it all? It seems like it is costing me a fortune on ink from my color inkjet. What printer laser/inkjet, or brand do you or your readers suggest? I don’t have one that I recommend. I will say that I print a lot of my printables in draft and let the ink go until it streaks really bad before changing. I have a color laser from Brother. Hate to bug you. I’ve never had problems getting your printables before, but it says the nature journal “is not found at this server” or something like that. The other printable on the page comes up fine. Any thoughts? Got it fixed. There was a typo in the link! Been crazy around here. Thanks for letting me know. The one I have printed we used is fixed. I guess I did not get it uploaded! I’ll do that right now. Oh Cassie, I really hate to bug you. I have read through all your questions/comments 3 times to make sure my questions weren’t already on here. I’m embarrassed to even ask. What constitutes as “stealing”? I really don’t want to be doing that. I printed off some ABC packs and used them with my daughter. I have kept them and plan to use them with a daughter again this year. I’ve never copied or given them to anyone. Am I in violation? If so, please tell me how I can right this situation. Also, my problem is only with printing. I can download your packets just fine. I can save them just fine too. Browser is updated. Adobe is updated. However, when I try to print any printables past “Tt”, the print preview is blank, and nothing will print. It doesn’t sound like anyone else above has had this problem. I have three computers, and I have the same problem on all three. I don’t expect you to be a computer genius, but if you had any thoughts, I’d love to hear them. You are not stealing by using them with your daughter. It sounds like you are following the terms of us. Are you downloading the files to you computer and printing them or just previewing in the browsers and printing? What browser are you using? Have you tried a new browser in any of your tries? I tested printing from the browser and downloading this morning. I had no issues printing any of the files. I tested a page from every files past T and found no issues. Cassie, I hope this helps everyone. After saving, it still would only show me a blank page in the print preview. I have had my computer off for a few days. I decided to delete the files since I couldn’t print them, but for some reason when I brought them up this time, they worked! So maybe to anyone else who has updated everything and saved it, and is using the proper browser–just restart your computer? I don’t know, but it worked for me. Happy that it worked for you! I’ll see if I can look further into it as well! Thank you! I found you on Pinterest looking for Christopher Columbus ideas for our homeschool. Lovely work! I was having problems printing, only getting blank pages. I thought it was because I have a Mac, but one user suggested restarting the computer and even though I had just restarted mine today, it worked! You are welcome! I also suggest downloading to your computer and not printing from the web page when this happens. Thanks you for reiterating all your helps in your comments to people. After having it crash trying to open it on several computers and several browsers I saw your link to this post in the bottom of the columbus packet I was trying to download. Thanks for all that your work in helping the rest of us out. You are welcome! I try and answer questions when I can! Doesn’t seem like anyone else is having my problem. I was trying to print some of the pages from your Christopher Columbus pack 1 and part or the page prints again on another part of the page. I’ve updated both adobes, restarted, and tried to print from both the web browser and the saved versions, but they all come out the same. I would make sure you are printing as an image and what the setting on your printer are. You can always look at the print preview in adobe and see what is says it is going to print. Make sure it says shrink over size pages. when looking at print preview it appears normal. Make sure it says 1 page per sheet on the settings. I don’t have control over your printer settings. Sorry there will be no more French activities. The person is no longer doing it and I ran into to many problems. I am still having issues printing, when I print without saving the file to my desktop it prints each page as if it is four of that page on one page. It is very frustrating and has resulted in lots of wasted ink and paper. Printing is an setting on your computer. The printables are set up as one per page. You need to make sure it is single page is set in the adobe acrobat reader setting. I don’t have any control over the settings on your computer. First of all thank you for sharing your talent with all of us! I am trying to download your Roll a Monster game in your monster pack. Anything else of yours that I try to print out is working just fine except for this. When I click download it does just fine but then when I go to print off the download it only prints blank pages. I have tried 2 different computers with different programs. I tried saving the PDF to my computer and it pulls up and looks like it will be fine but when I go to print it is still blank. I tried 3 other things from your site and they all printed out fine so I don’t think I’m doing something wrong. Will you check on your end and see if there is something different. I am hoping to use this cute game in my daughters class Halloween Party on Thursday so if you could get back to me soon I would appreciate it. You have tried all the suggestions I would give. I would check to make sure you adobe is up to date. I know it recently updated. I know people have rebooted their computers and tired again and that has worked. It is not made any differently than any of the other pdfs on the site. I double checked the file and it is fine and I downloaded at got it to print just fine. You did the right click and save as so you have the file on your computer? Yes I had done all of those things, right clicking and saving, updated my adobe. I tried rebooting my computer and it worked! Thanks so much for getting back to me and helping out. Thanks again for sharing with us! When you are printing make sure you are printing as an image. This is an option in Adobe Acrobat reader. Also are you printing from the web or downloading to your computer? Not all browsers view pdfs the same. I downloaded your Christmas Learning Pack and wanted to print some activities off from the part 1 section, but when I clicked on it it took me to the home page, please help 🙂 All other parts seem to be in working order. Please Try all the suggestion in the error help. They do work. I would make sure your adobe is up to date and try the right click and save or a different browsers. The suggestions in this post do work. Thanks so much for the number packs they are great! I have been trying to open your number 7 pack, but every time I click on it I get an error message saying it was not found on the server. Is there another way to access this pack? It looks like the download page was missing a part of the code. It will be fixed ASAP. Is there any solution for Mac users? I cannot download anything due to the OS on my Mac! Read over the Errors sections above. Each of the 4 suggestions have worked for people. I have checked the file and everything is fine with it. The suggestions that work for most people are the Right Click and Save as or Use a Different Browser. Can not download the mini world pack. I followed all you help instructions, read everything and still nothing. Please help.Thanks! I got it to work thanks any way! Glad that you got it to work. Thank you so much for taking time to make all your printables. I love them and use them with my kids all the time! I just wanted to tell you that I just printed out your ABC Trace and Dot the Letter pack and found an error that I thought you might like to fix. Everything looks great, except on the letter L page. In the circles to dot the L’s, there are A’s instead of L’s. I just wanted to let you know so you can fix it if possible. Thanks for letting me know. I thought I had already uploaded the fix. It has been uploaded now! Thanks so much, Cassie! I have the correct version now. Just FYI, I can’t find a quick link to your ABC Tracing & Dot Find printables on your ABC Printables page. I had to go back to the blog post on June 15th to get the right update. I just wanted you to know so you can add it to that page so other people can get it easily. But maybe I am just looking in the wrong place? If I am just missing it, sorry! I try and get the links up on the donwload pages when I can. It all depends on how busy I am with projects and the girls. I totally understand. Life is busy! Thanks for all you do. You are an inspiration to all of us trying to teach our kids at home! I cannot get the numbers pack to download. I love your printables!!! Please try the suggestions in the Error and Downloads section. The most common things that help are making sure you adobe is up to date and trying a different browsers. THANK YOU!! Your site/themes are AWESOME!!! Love to see a CIRCUS one! I’m having problems downloading the Monster pack – I’m using a Mac and therefore there is no ‘Save link as’ option when i ‘right click’. I don’t have access to any other operating system. You still need to make sure your Adobe on your Mac is up to date. There are also different types of browsers not operating systems when suggestion a different browser. I would try all the options of browsers for your Mac. I do know that people will Macs have got the files just fine by between browsers and making sure that their Adobe Acrobat was up to date. I am trying to download your star wars pages. They download just fine, but when I go to print it it just shows blank pages in the preview and won’t print. What am I doing wrong? I have never had this happen before. Thank you! And thanks for the great worksheets! Are you viewing the files in adobe acrobat reader or some other viewer. What part of the is the problem. I just downloaded all the files from the site and was able to print from all of the files from all parts of the Star Wars Pack. I’m not seeing any restrictions on printing for the files either. Could you please email me the file you downloaded to: hardingcl @ yahoo . com – Please remove the spaces. This is so I can look at the file. I have been trying to download your multiplication wall cards, but it keeps taking me to the seasonal page instead. I got the blank wall cards to download, it’s just the first set that I can’t get. Please read over the help and errors on this post. I would suggest trying a different browser and making sure you Adobe is up to date. These suggestions will help with you being sent to the homepage. Love your work, it’s helping my 1 year old learn so much! I’m having trouble viewing the “sightwordplaydoughtrace-preprimer” file though, I can view the primer and grade 1 files and just about every other file on here except that one. Could you see if there is a problem with it? I was able to view it lastnight on my ipad but now it sends me to the home page and it doesn’t matter which computer or device or browser I use, they all go the same place. If I try to download it, it just saves an index.php file to my computer. I did check the file on three computers at home and every one of them got the file just fine. I also had 3 others test it as well and then got the file. Have you rebooted your computer since you tried? I know that has helped some people get the file. On two different computers I’ve tried Internet Explorer and Chrome. On my iPad I used chrome and it worked the first time. On my Android phone I used the builtin browser and it didn’t work. Try Firefox then. I was able to get it to work on 3 computers with Chrome and Firefox and my table. I just tried it at work and finally got a copy to open for me. Sorry for the trouble! I don’t know why my home computers won’t open JUST that one file. Thanks again these are great! I’m not sure why it won’t open that one file. The suggestions do work. Did you try Firefox at home? I just checked my tablet and phone and got it just fine. Are you use you have the latest browsers and Adobe Acrobat Reader on your tablet? I check the site and the file is there and working fine. I always tell people the save it to your computer or tablet than going to the site to print copies in case something happens to the site. I know my tablet had issues in chrome browser but got in the firefox table browser just fine. I’ll look into it but not sure what else I can do. Did you try saving the link rather than just clicking on it? I would suggest saving the files to your table from the link instead of opening in the browser on your phone. It seems to help some, but does not seem to fix the problem for pdfs you have already tried. There is no password needed to open the files. You need to open the files in Adobe Acrobat Reader. Thanks so much for sharing such wonderful printables! I have not had a problem downloading any files, but there are just several (of the many that I have downloaded and printed) that I would like to print in color, but for these files “Print in grayscale (black & white)” is the default and grayed out so that I can not uncheck to print them in color. The files are the abcletterfind, abcfind-uppercaseonly, abcfind-lowercaseonly, and the two fall-extra-dot files. I have been able to print the other files I’ve downloaded from you in color, so I don’t know why I do not have that option for these. Hope you know the answer! Okay, I just printed a page from all the pdfs mentioned above from the website directly and all printed in color. Both on the website and ones I have as a backup on my computer. I would check the properties on your printer. If that has the gray selected there, it will print in grayscale. It would also make sure you download the files directly to your computer and print in Adobe. That is all that I can suggest to help you out. In the case of the grayed out selection, that is to prevent people from editing the files. I love the printable section. I am buying some of the books for my grandchildren and this will expand their knowledgde of the stories. Thank you. Does the Tot Pack means that it is for toddlers? By the way, the title on the Little Red Hen Tot Pack is labeled Little Red Hen Pack Part 2. Thanks for letting me know about the title. Yes Tot Pack means Toddler to Preschool age kids. I have tried opening the 2nd pack for the Revolutionary War pack on different browsers and different computer with no luck in getting it to open. Is something wrong with the link? The others worked just fine. The link is fine and the pdf is on the site. I have checked it on three computers. Did you try all three browsers: IE, Chrome, and Firefox? Did you make sure your adobe acrobat was up to date for your browser plugin as well as your computer? You might also want to try clearing your cache and trying the right click and save as option. Most people have had the best luck with firefox when having issues. It is something you create a calendar with. You use calendar pocket chart and put the days in it. You can use it any way that you would want. I have read and tried all of your suggestions above. I can not for the life of me get the sharks part 3 and 4 packs to open and print. I was able to open them fine the other day but couldn’t print at the time. I’ve planned our unit around them for this week but now I can’t seem to access them. Any suggestions?? I’m not sure why I am only having trouble with packs 3 and 4. I checked the pdfs are there. It sounds like you ran into the security on the site. I always suggest to people to download to their computer and then print. That way you have the file and don’t have to come back to the site for it. That also gives you the file in case something ever happened to the site. Did you try all three browsers: IE, Firefox, and Chrome? That is what helps most people. If it is sending you to the homepage or gives you a PHP as a file you need to try a different browser. You are hitting the security on the site and the only way to fix that is to use a different browser. Be sure to try all three browsers. Thanks! I tried that on Jan. 23rd and again today…it’s still not working. I even tried from home thinking it was the server at school and got the same results. You have tried all three browser options: IE, Chrome and Firefox? If you go to the home page you have to try a different browser. I checked the file after your last comment and the files are there. I can’t get to the pdfs of your Bob Books Rhyming Words Book 2 & 4 packs. All the other Bob Books Rhyming Words book packs (1, 3, & 5-10) work fine, but it links me to the homepage for books 2 & 4. I tried it on Firefox, IE, and Chrome and all three browsers link to the homepage. I even tried just entering in the pdf address manually (just changing the end of the address to “-book2.pdf” or “-book4.pdf”, but it still takes me to the homepage. Is the issue really browser security or are those 2 files no longer on your website? Those files are there. I just did a quick check on them. Are all three of your browsers up to date? Is your adobe acrobat reader up to date? the security on the site will have that happen. If you typed the files into the browser the security clicks in and blocks the pdf and takes you to the homepage. I didn’t find that error in any above messages so I hope I didn’t just miss it and I’m bugging you unnecessarily. Thanks again so much for all your hard work! I should have mentioned currently I’m trying with the spring packs. Thas where I’m seeing the message. I just checked all the spring packs and they all have the printing option available on them. Are you opening the files in Adobe Acrobat Reader or something else? I was able to print from all the files on the site. Which pdf name did you have problems with? The links for the Bob Books Set 1 Book 1 and Book 2 printables are completely circuitous. From Book 3 and beyond, they all work fine. I even tried to simply modify the URL by changing the book number to 1 or 2, but it leads me back to the index page. I found the pdfs for those books the other day, but now no matter which link I pick, it just circles me back around. What are the URLs for those two printable sets? Thanks. It sounds like you are running into the security on the site. Changing the pdfs numbers will make the site take you back to the homepage. You can only click on them from that download page. That is done to prevent people from stealing the pdfs and is part of the security on the site. Please read over the part that says use another browser. If one is not working try a different one. Most times using a different browser will fix the problem of being sent to the homepage. Also, make sure your Adobe is up to date. I also did check and all the pdfs are there. Hello, I love your printable’s. But I am unable to download shape tracing and play dough mat. Do u have a number tracing and play dough mat? For the shape tracing and playdough did you try a different browser? That is what helps most of the time. All of the other parts are there, but just this one is missing. I’ve tried all the fixes, including checking from another browser and a separate PC. Let me know if you are able to get it back online! I just checked the files is there. If the file was not there you would get a 404 error page not be sent to the home page. Did you three all three browsers? I had others test it and they got the file just fine. I would make sure you try all the browsers. Chrome and Firefox work best. Don’t try putting the pdf URL directly in the browser or it will trigger the security to send home page every time. I’m glad it is working now. I just checked the file on the site and it shows that printing is allowed. I recommend printing from a computer and not a tablet or phone. A lot of times the tablet or phone won’t print the pdfs and gives that error even though printing is allowed. Love the LDS printable packs for Articles of Faith, thank you! Fyi, the penguins pack 1,2,tot in the intro say “thank you for dowloading the Pumpkin…” 🙂 God bless you for offering these free! I’m glad you like it. Thanks for letting me know. None of the pdf links are images. They are just text links. Are you sure you are clicking on the links and not an ad on the page? I was trying out the summer JUMP IN pack and had difficulties in downloading “day 3” Prek pack under Ocean Week 2. Can you help me out? As stated in the post make sure you adobe acrobat reader is up to date. What helps most of the time is to use a different browser. It really does work. I have loved the printable tot packs! We have moved up to the bigger packs, and I’m wondering if there is a guide for how to use all of the different pages to get the most out of it. Thanks for all you do! No, I don’t have a guide for the free packs. Because they are free they are as is.I”m sure you can figure a few fun things to do with them. Hi the division flashcards white set is not opening. Keep getting an error message. Hi! Thank you for letting me know. The link has been fixed. Hi – I love love love your printables. 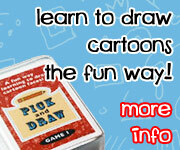 My son is so eager to learn, and this is a great way to supplement his learning in a fun way! I found a typo on your Planets Learning Pack Part 2, Page 30. Thanks got it fixed. It may take an hour or more for the server to update the file.